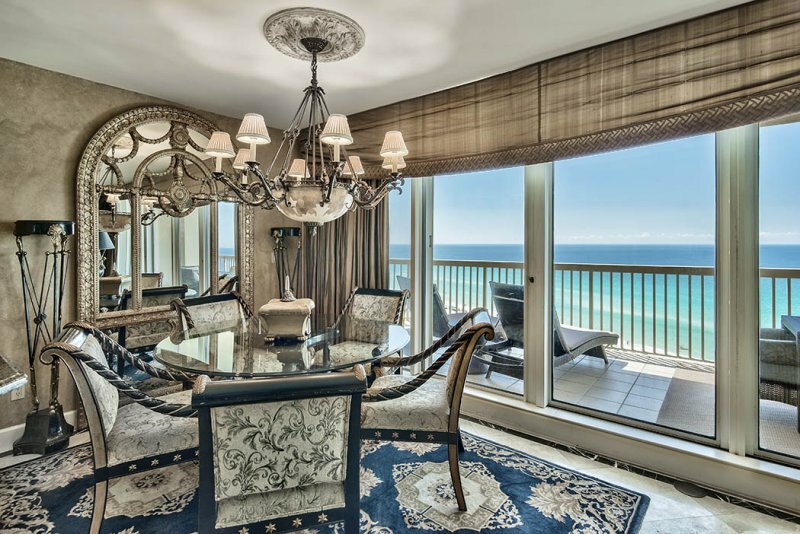 Feel like you are in a Gulf front castle amid the exquisite opulence at Maison Par L'eau! 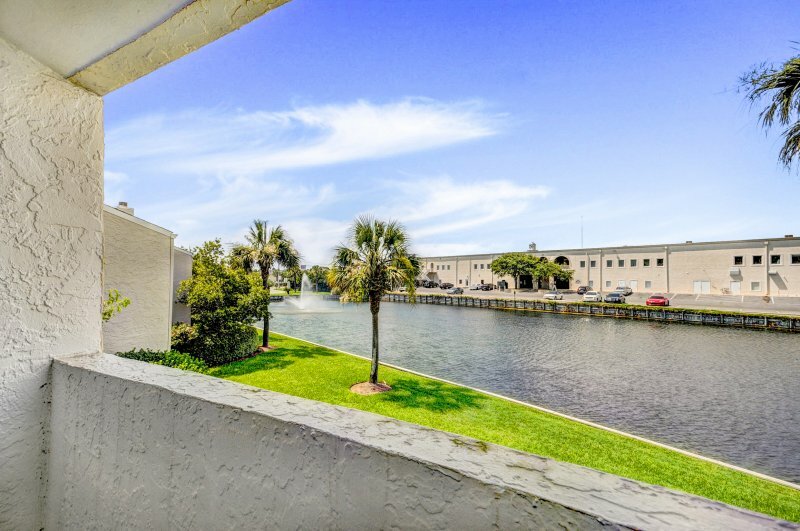 Completely upgraded and decorated to the hilt, no expense was spared in the renovations to this luxurious 3 bedroom, 3 bath unit reminiscent of a grand European estate. 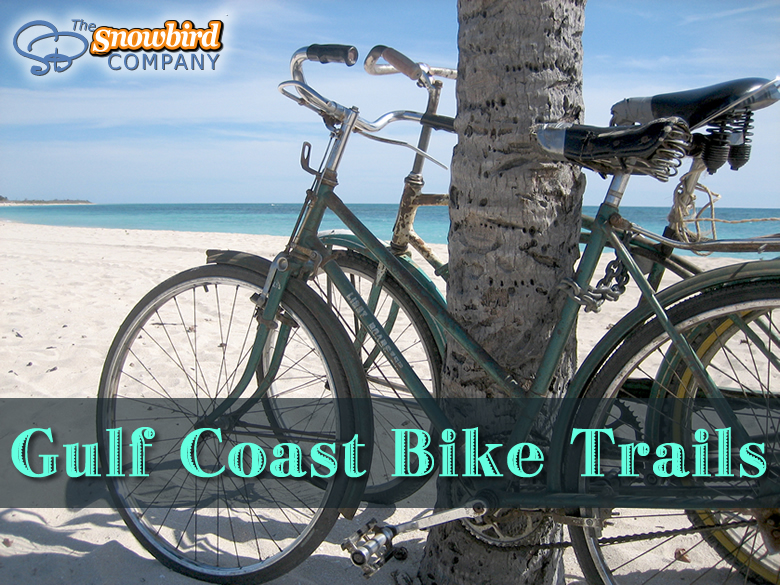 No detail was missed in this elegant condo with beautiful accents every discriminating taste appreciates. The fabulous kitchen features hand painted trey ceiling, custom wood cabinetry, granite countertops, stainless steel appliances and gorgeous tile work. The dining area features seating for 5 at the table and 3 at the bar. 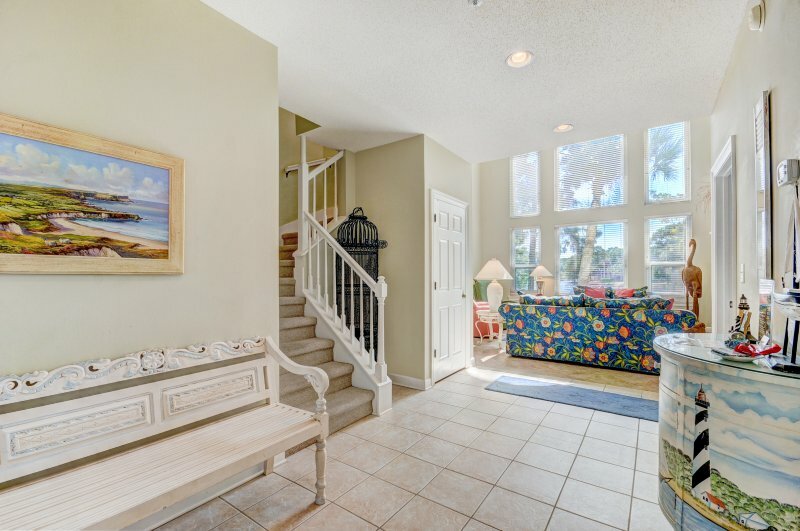 The Gulf front balcony also offers additional dining seating for 6. 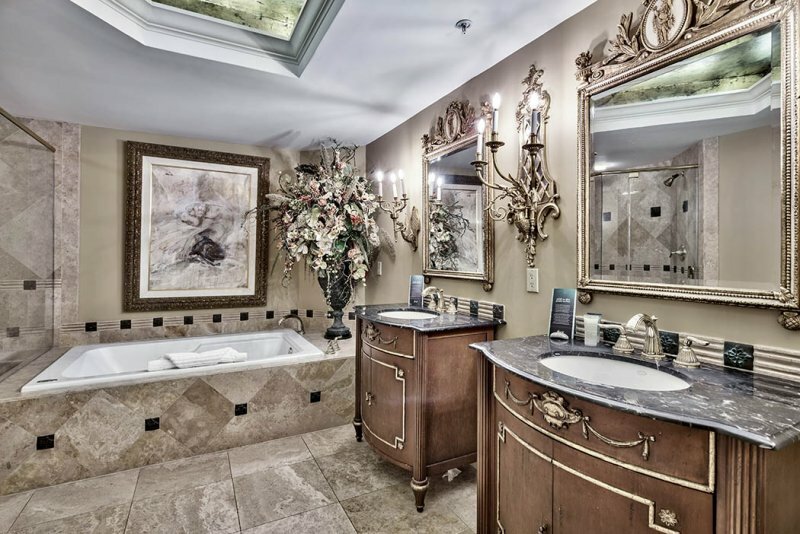 The bathrooms must be seen to be appreciated with custom vanities, custom tile work, ornate accessories in addition to a hand painted trey ceiling. 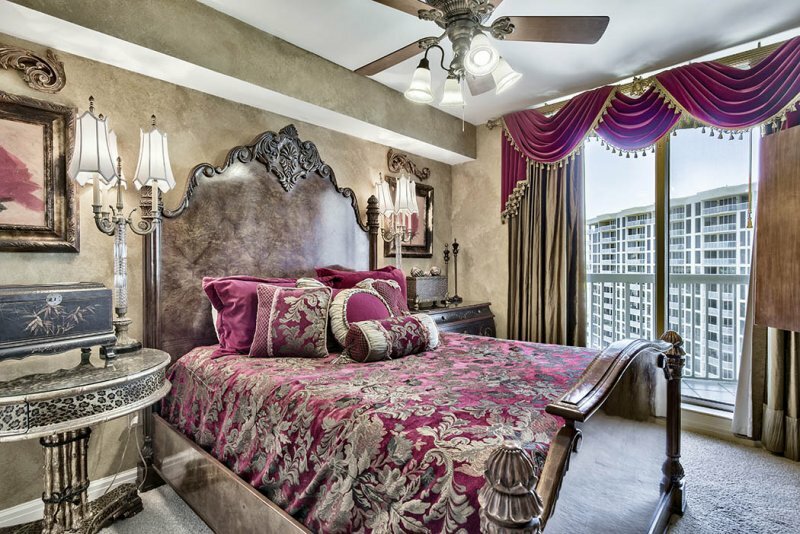 You will feel like a king or queen in any of the three sophisticated bedrooms staring at the dramatic views! The first bedroom has a queen-sized bed and a bird’s eye view of Destin with a balcony and shared bathroom featuring a shower stall. 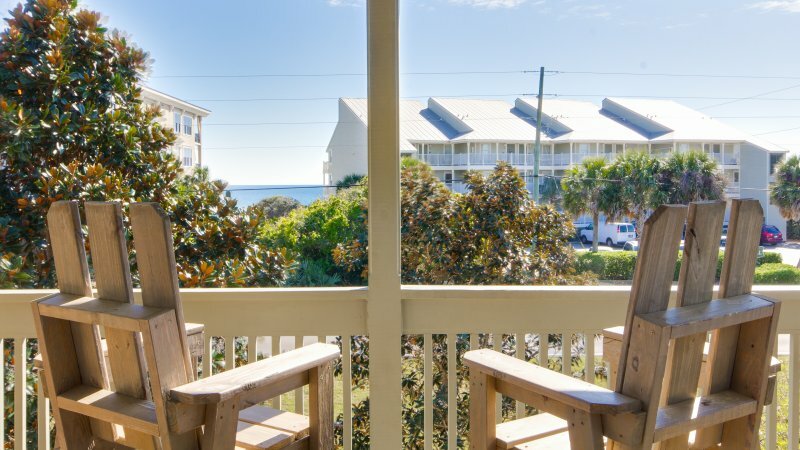 The second bedroom also overlooks the heart of Destin and has a king size bed with a balcony and private bath equipped with a tub and shower. 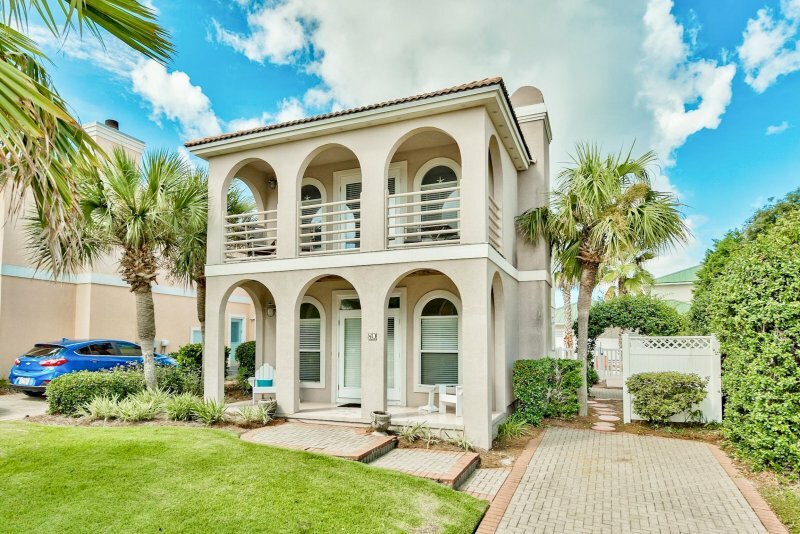 The Master suite is made for royalty with a king size bed, gorgeous views of the Gulf of Mexico, balcony access, walk-in closet, and a large, private bathroom with a Jacuzzi tub and shower stall. Silver Shells is truly a world-class resort and offers every amenity you could wish for - gated entry with 24/7 security, lagoon pool with hot tub and poolside cabanas, children's pool, European Spa, Ruth Chris Steakhouse, beachside Tiki Bar and Grill, playground, basketball and tennis courts, fitness center. Description Feel like you are in a Gulf front castle amid the exquisite opulence at Maison Par L'eau! 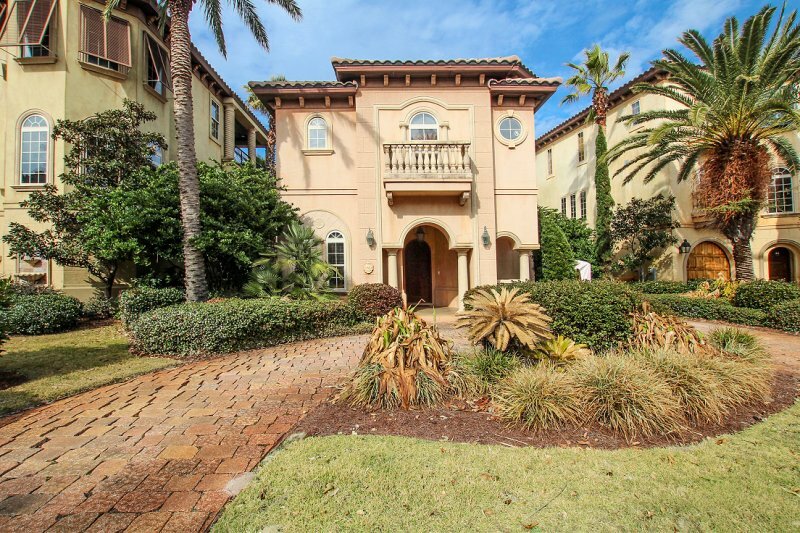 Completely upgraded and decorated to the hilt, no expense was spared in the renovations to this luxurious 3 bedroom, 3 bath unit reminiscent of a grand European estate. 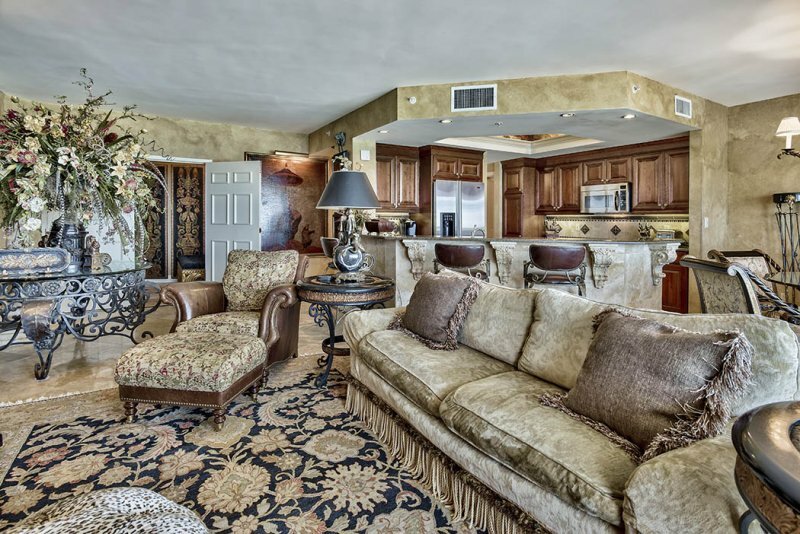 No detail was missed in this elegant condo with beautiful accents every discriminating taste appreciates. The fabulous kitchen features hand painted trey ceiling, custom wood cabinetry, granite countertops, stainless steel appliances and gorgeous tile work. The dining area features seating for 5 at the table and 3 at the bar. 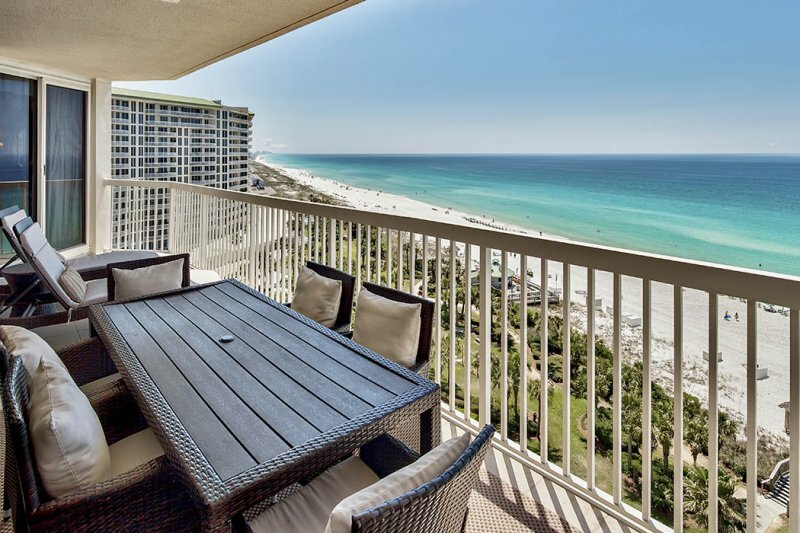 The Gulf front balcony also offers additional dining seating for 6. 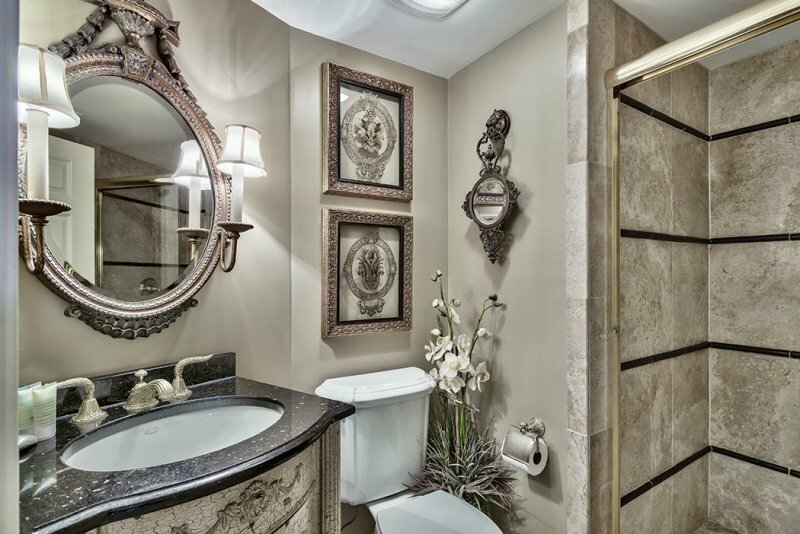 The bathrooms must be seen to be appreciated with custom vanities, custom tile work, ornate accessories in addition to a hand painted trey ceiling. 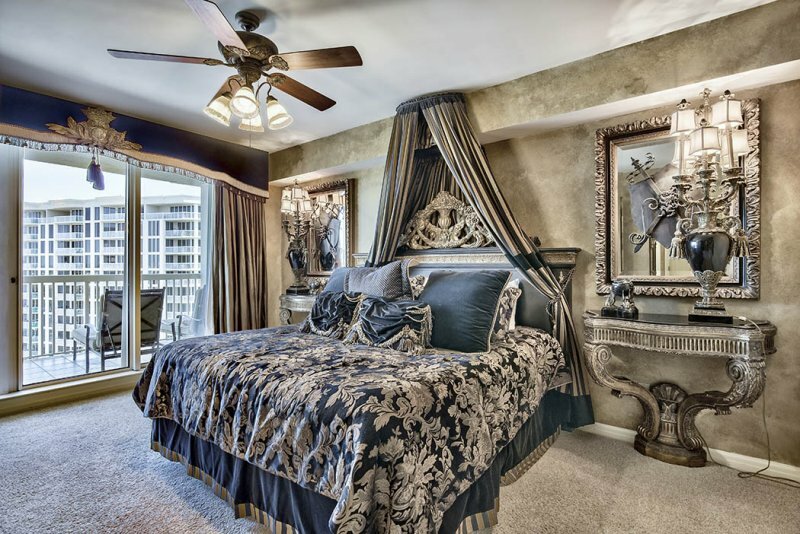 You will feel like a king or queen in any of the three sophisticated bedrooms staring at the dramatic views! The first bedroom has a queen-sized bed and a bird’s eye view of Destin with a balcony and shared bathroom featuring a shower stall. 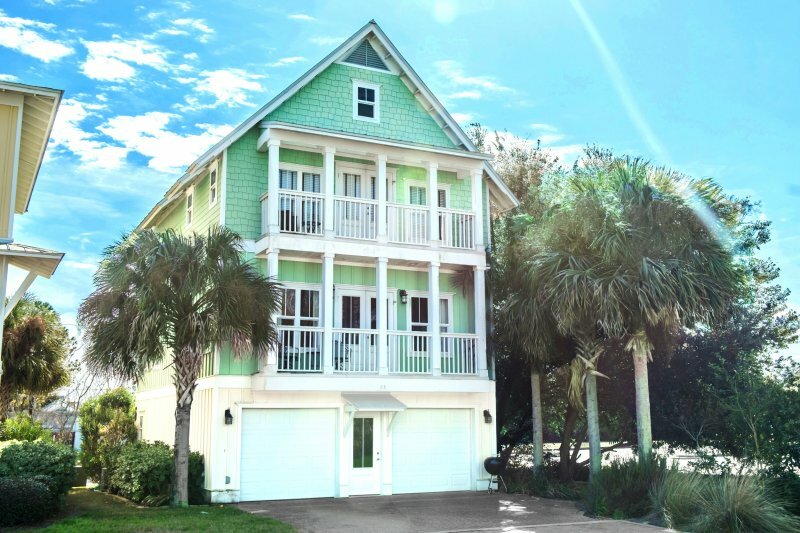 The second bedroom also overlooks the heart of Destin and has a king size bed with a balcony and private bath equipped with a tub and shower. 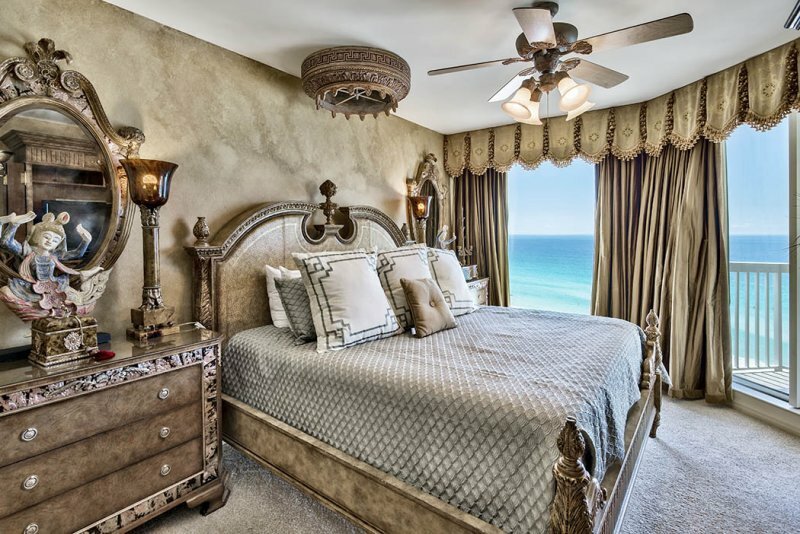 The Master suite is made for royalty with a king size bed, gorgeous views of the Gulf of Mexico, balcony access, walk-in closet, and a large, private bathroom with a Jacuzzi tub and shower stall. Silver Shells is truly a world-class resort and offers every amenity you could wish for - gated entry with 24/7 security, lagoon pool with hot tub and poolside cabanas, children's pool, European Spa, Ruth Chris Steakhouse, beachside Tiki Bar and Grill, playground, basketball and tennis courts, fitness center. 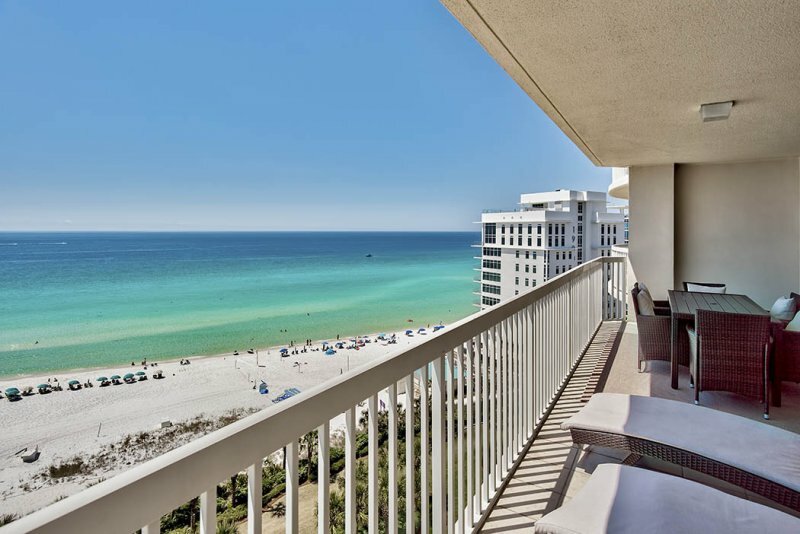 Stunning views of the Gulf of Mexico can be seen from almost every room in the condo and the large balcony! 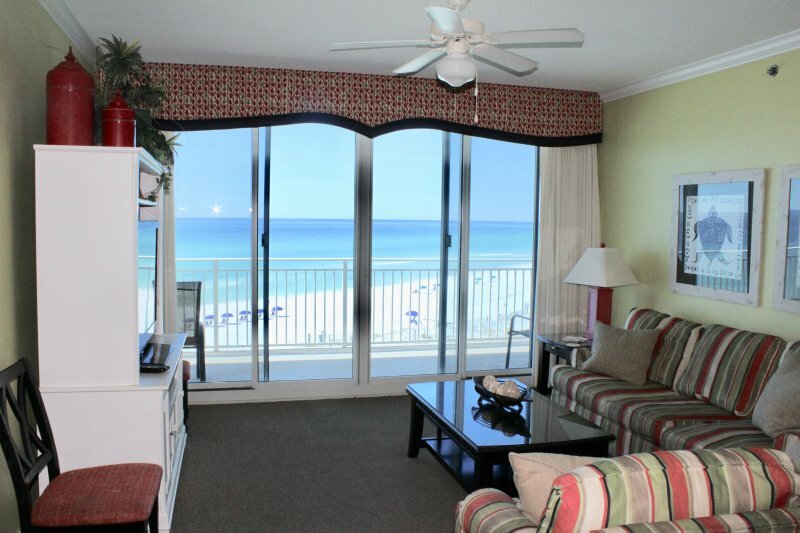 Gulf Front at Beach Colony Resort East ~ Incredible Beach Views and Amenities!